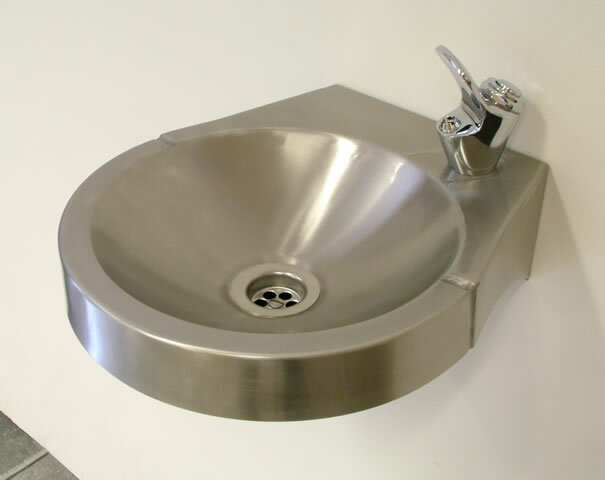 Round and Square wall mounted drinking fountains incorporate integral fixing brackets and are supplied with a chrome plated push button bubbler tap and a 32mm (1¼" BSP) waste fitting. Delivery time is usually about 2 to 3 working days from order, with free packing and carriage to the UK Mainland on orders over £250.00 + vat. 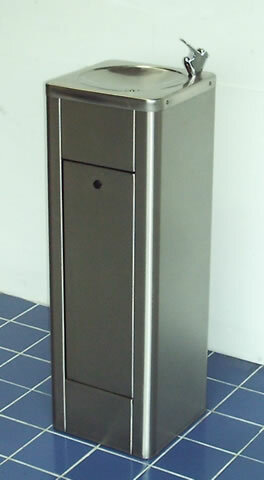 A floor standing drinking fountain designed for service entry from below, incorporating a lockable door and supplied with a chrome plated push button bubbler tap and a 32mm (1¼ BSP) waste fitting. This unit can also be made to a lower working height for junior use. Delivery time is usually about 5-7 working days from order with free packing and carriage to the UK Mainland. Whilst the Drinking Fountain itself is suitable for external use the Bubbler is prone to freezing in low temperatures, (like any tap) which is likely to cause irreparable damage to the internal cartridge.